Episode 24: Stay on Target! Ever since Origins 2012, Marty and I have been looking at games that involve some type of dog fighting mechanic. At Origins, we tried Leviathans by Catalyst Game Labs and we enjoyed the game, but held off on getting it because, well the cost was just a little much for us. 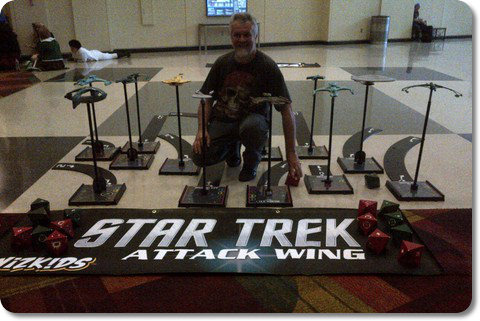 Then came X-Wing and now Star Trek Attack Wing. How do you decide? 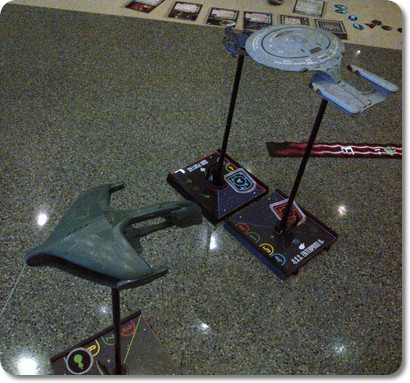 I even got a chance to play Star Trek at Gen Con 2013, but I am still on the fence, unsure of which game would I enjoy more. So, Marty and I sat down at YLGS and played X-Wing and then had a discussion in the Episode to compare the three systems. And at the end, we still haven’t decided which to purchase. Also in this Episode, Marty discusses his family’s adventures in Pathfinder Adventure Card Game and Lords of Waterdeep Expansion. Finally, we close out with our discussion on the upcoming MACE convention in Charlotte, NC on November 15-17.